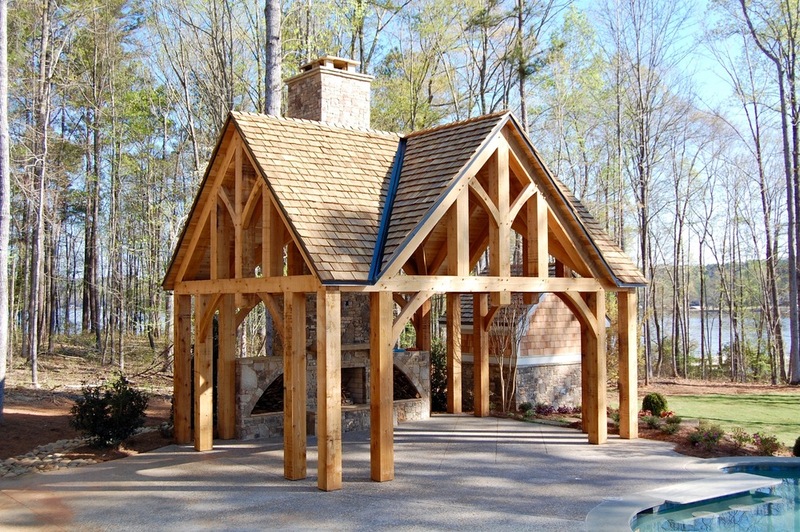 East County Oak is a timber framing shop based in Athens, Georgia. We specialize in designing and hand crafting traditional timber frames. We also provide fine carpentry services and custom woodworking and furniture. East County Oak is a timber framing shop based in Athens, Georgia. A timber frame is at once modest and majestic. Typically using rough green wood close to its rawest state, a timber frame is unrefined and purposeful. At the same time it uses materials that by today’s standards are oversized, and its structural elements convey a cathedral-like openness and monumentality and reveal subtle geometries that modern buildings usually conceal. Historically, timber frames were often utilitarian structures. They served as barns or they were wrapped in siding and plaster much like today’s stick-framed houses. Today, based on an appreciation of the fundamental beauty of those functional buildings, timber framing continues as a marriage of the structural and the aesthetic. Our work proudly displays its classic utility, craft, materials, and labor. Timber frames are heirloom-quality structures that have lasted upwards of 800 years, when properly cared for. They have always been dear to their owners and have been known to be dismantled and moved multiple times. Timber frames make great homes, barns, cabins, workshops, outdoor spaces, tiny homes, and garden sheds. Custom timber accent pieces can complement a conventionally built structure in different ways: they can add weight or loftiness, rusticity or modernism, brightness or depth. Learn more about East County Oak, view our portfolio, or Contact us. © 2016 East County Oak, LLC. 1401 Greensboro Highway, Watkinsville, Georgia 30677, (706) 207-3150 All Rights Reserved.